T-Mobile is giving Samsung Galaxy S10+ users a reason to rejoice today. 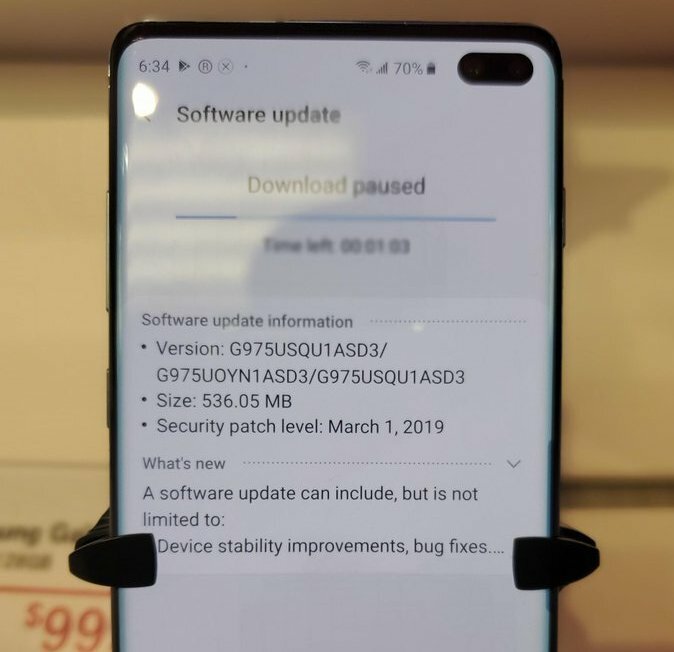 The rollout of the new OTA software update build G975USQU1ASD3 has been spotted on a reddit thread and we’re already giddy with anticipation. An official changelog is not available of the update yet, there are several reports available that the ASD3 update greatly improves the performance of the fingerprint sensor and camera. You may no longer need to hard press the screen to register the fingerprint as a soft press on the sensor seems to do the trick now. We hope the update also fixes issues with battery drain and AOD that many people have reported about. 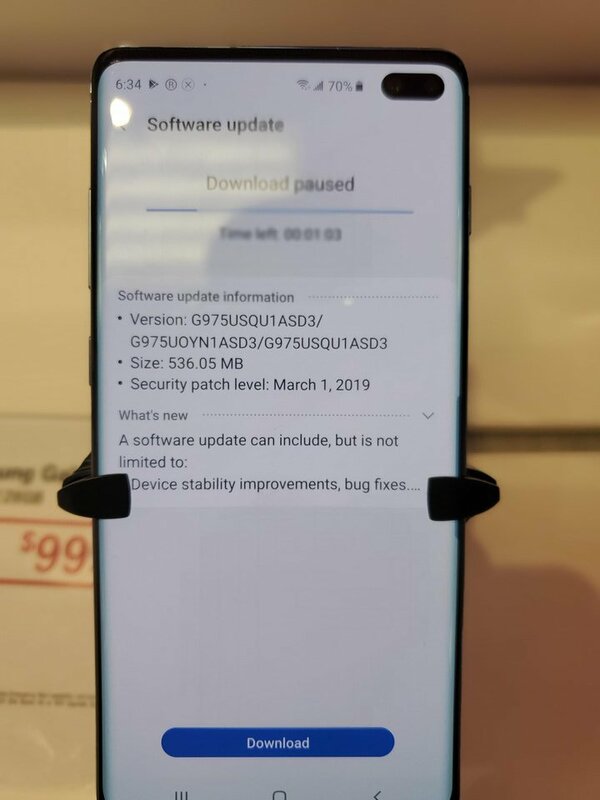 The Galaxy S10 users are not the only Samsung users to receive an update today as the Verizon variants of the Galaxy S8, S8+ and Note 8 were also given a big update today in the form of Android 9 Pie, topped with One UI. Those who wait for the update to show up on their device can even download the update right away. it’s available on firmware.science, and here’s a direct link to download the OTA. You need to have version G975USQU1ASBA installed on your device. If you have that, to install the new update ASD3, simply download the OTA file, rename it to update.zip, move it to your device’s SD card (not internal storage, and don’t put inside any folder), and then reboot the device to recovery mode. Next, in the recovery mode, select update from SD card, and select the update.zip file. The system will install it automatically. Reboot the device when done.